Kriya Yoga is an incredibly powerful meditation technique. The word on the streets is that King Arthur practiced Kriya on a daily basis, to ground the light into those dark ages. The Knights of the Round Table were known as the Knghts of the White Swan or the Hamsa Knights. 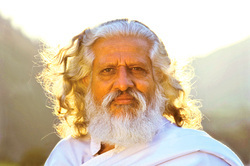 Yogiraj Gurunath Siddhanath is the founder of the Hamsa Yoga organisation and his work has supported me greatly on my grail quest. If you feel the call, I know it will you too! Find peace amongst the crashing of worlds. I use it with all my clients. They may find it kinda goofy at the beginning, but the Emotional Freedom Technique has been a life saver for many of them. You can literally use it on any area of your life in which you experience emotional blocks and opens the doorway to change in a favourable direction.